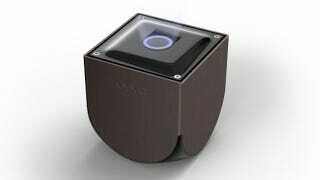 The Rubik's Cube-sized $99 Ouya game console is supposed to come out in March 2013. We thought you'd only be able to get it in silver, but, no, there's a darker option. Today, the Ouya folks have revealed a special edition version of the console. You'll have to donate $140 to their Kickstarter to get this Limited Edition one (like they need more money! Their roughly 47,000 backers have already pledged $6,000,000). The controller's face buttons have also been re-labelled on the regular and Limited Edition controller, by popular demand, the Ouya folks say. The buttons used to be labelled this way.